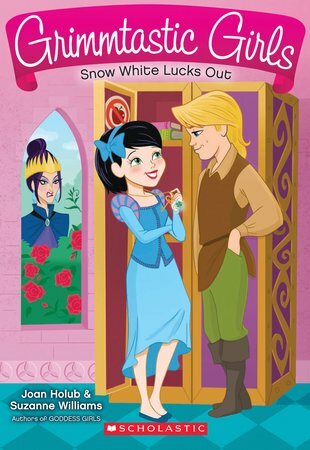 A new Snow White legend by the Goddess Girls author? Yes, dear reader: you’ve lucked out. Grimm fairy tales made over in a sassy new way? We’re already sold on this idea. Grimm Academy is a special place where fairy tale characters are trained up. But no matter how many lucky charms she wears, Snow White can’t catch a break. She’s especially worried that her stepmom, Ms Wicked, is a member of the E.V.I.L. Society. Snow needs to save the world (and her school). It’s just too bad she seems to be jinxed!